Birt&Tang have been blending teas in China for nearly a decade. If you need someone to blend teas to your specification, with or without packaging, we'd be delighted to help. Across our range, we use nearly 100 distinct herbal ingredients. Many of these are subject to complex seasonal or varietal variations. We've built up excellent contacts with herb and wholefood suppliers all over China. Our logistics are excellent. 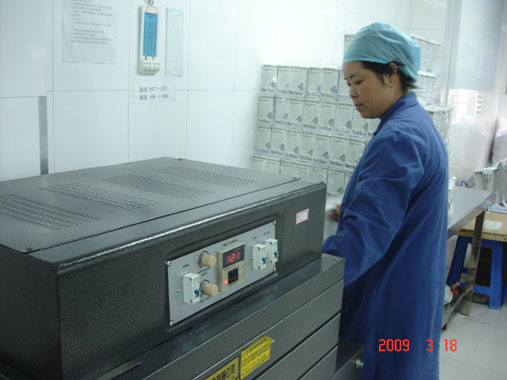 Our Shanghai factory was built to our specification in 2007. We chose the machinery and trained up our own skilled and enthusiastic workforce. In 2008, the facility was certified by the British Retail Consortium (BRC). We're one of the first tea factories in China to achieve BRC certification, and we're very proud of our new status. We've acted as OEM for some major retailers. If you'd like to join them, drop us a line. We'd love to hear from you.